Georgina has been working in cross-sectoral, primary industry RD&E for the last three decades. She has demonstrated expertise in soils research, policies and programs, with a solid body of knowledge and practice built through her leadership of DPI Agriculture’s soils management R&D program, representing NSW DPI at high level state and national forums, and providing strategic advice and planning. Georgina leads a team of over 60 staff in DPI Agriculture to find soils management options for primary producers that underpin productivity, profitability and sustainability. Prior to this she was Director of the Forest Science Centre, and Research Leader of the large Climate in Primary Industries Unit. Georgina represents NSW DPI and DPI Agriculture on senior state and national committees. She is the Deputy Chair of the Implementation Committee for National Soils RD&E Strategy, and an active member of the Investor Advisory Groups for the National Soil Carbon Program, the National Agriculture Nitrous Oxide, and the National Biochar Initiative. She is actively working to promote collaborative opportunities in soil R&D and contributing to a rejuvenated, integrated soil framework for NSW. Georgina has 25 years of research experience with NSW DPI. 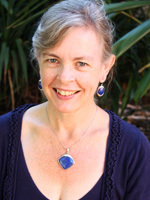 Her personal research includes the role of soils and forestry in climate mitigation and adaptation options; the potential of dry land forestry for carbon sequestration; and the successful use of recycled organics as fertilisers and soil amendments for mine site rehabilitation and greenhouse gas abatement. Her research has focused on practical, large-scale industry situations. Georgina's extensive research and demonstration program has been funded by all levels of Government and the forestry, coal, energy, water and waste industries. With extensive experience in research, development, and education, Georgina is also a graduate of the Australian Institute of Company Directors and holds qualifications in Public Sector Management.